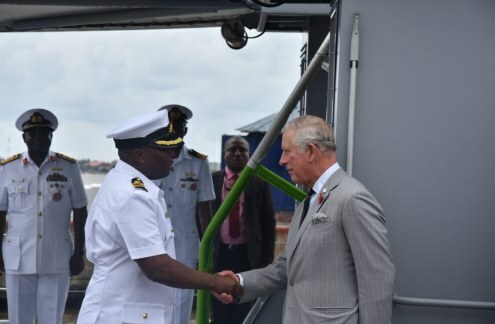 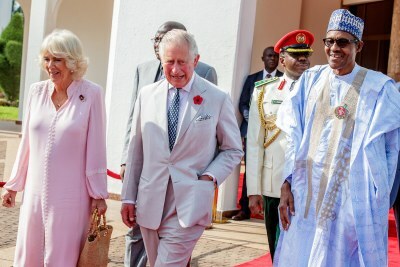 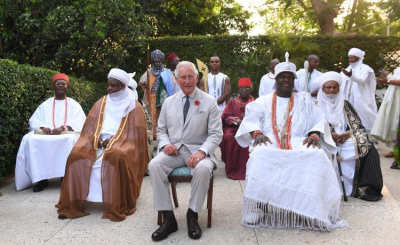 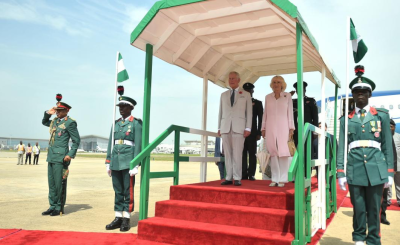 The Prince of Wales was ushered to the port side of the ship to see Nigerian servicemen, who are currently on a six-week training programme, show off their manoeuvres and simulated boarding. 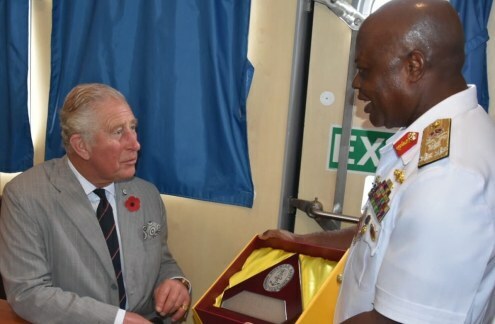 Prince Charles, who turns 70 next week, was also presented with a surprise birthday cake by naval officers, which featured a portrait of himself. 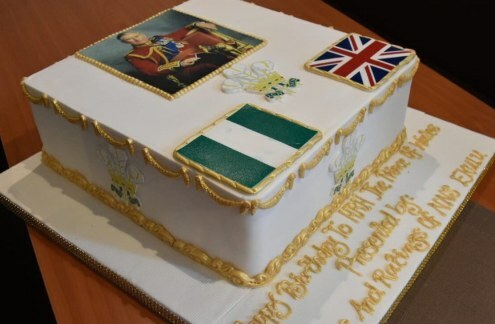 The Prince of Wales was presented with a surprise birthday cake.